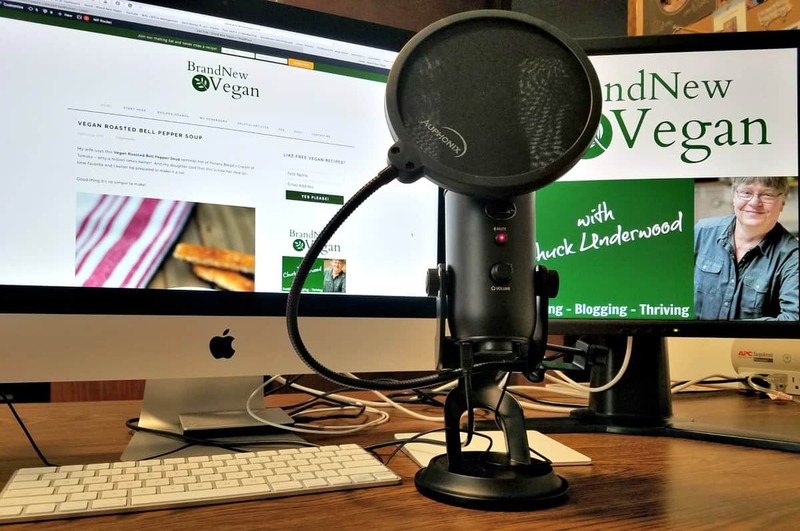 BNV001: Welcome to the Brand New Vegan Podcast! WHAT?! 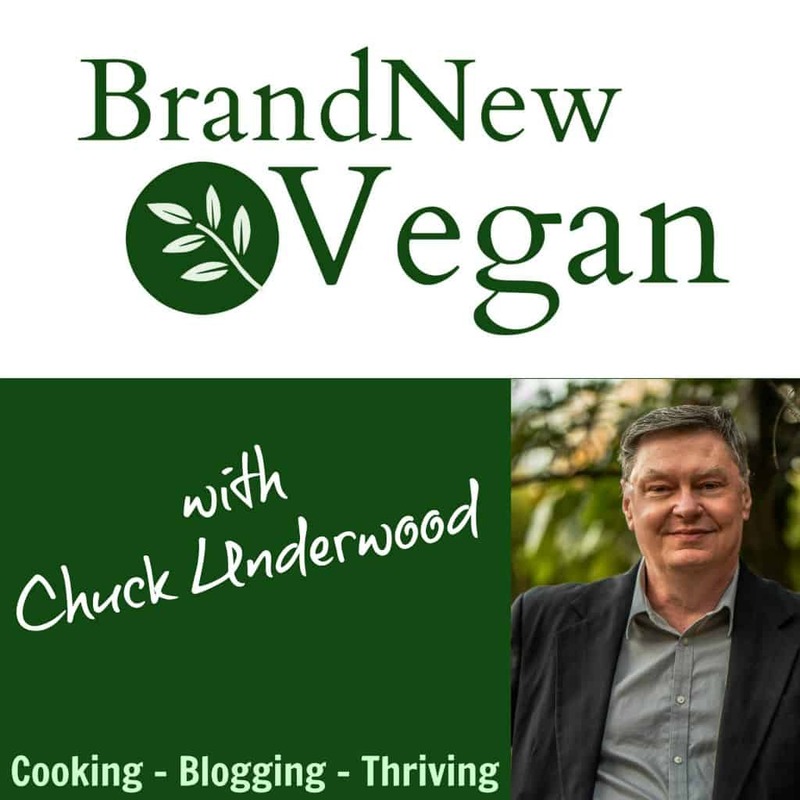 A Brand New Vegan PODCAST? Ok, actually it’s a homework assignment, lol. BUT…it gives me a reason to try out some of this new equipment I bought, and learn the software. And believe me, this has NOT been a walk in the park. I thought making a video was time-consuming? HA! I had no idea there was so much to this. Can I just go cook something instead? Anyway, here is my very first practice run for all of you to laugh at I mean enjoy, and overall – I’m pretty happy with it. I was actually surprised how natural I felt behind a microphone, and I’m REALLY looking forward to making this a regular feature of BNV! So what’s in this episode? Like I said, it’s really nothing more than me completing my midterm Blog Assessment. The whole thing lasts about 7 minutes. 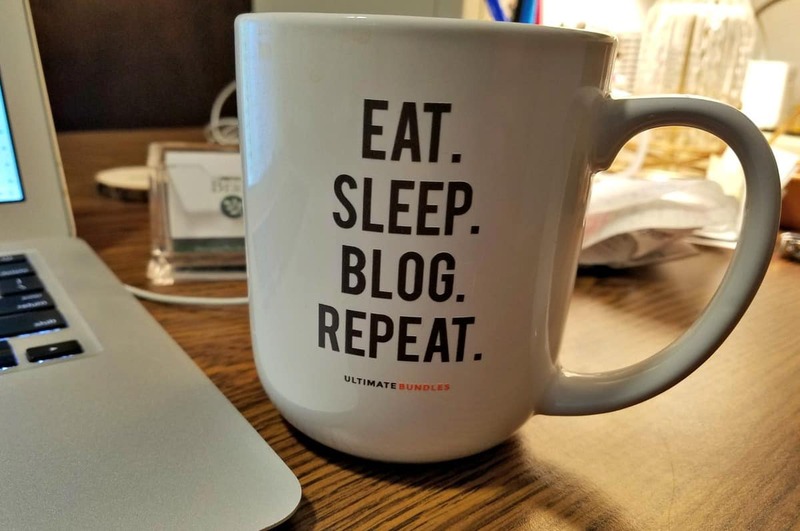 As many of you know, I am taking a ‘blogging course’ through the “Elite Blogging Academy” taught by super-blogger Ruth Soukup. Let’s just say, after it was all said and done – I felt very embarrassed by how much I had yet to learn and how many mistakes I had been making. I recorded that conversation in a video that I shared with some of you on my private FB Page. And, after finally reaching the midway point of the course last week, my assignment was to redo that Assessment to see what (if anything) has changed. But rather than make another video, this time I decided to make it a “podcast”. So that is what you’ll hear throughout the majority of this episode. A very dry and boring session of me spouting out lots of numbers. AND….you get to hear the actual voice behind the recipes, and what I envision the show format becoming. And I REALLY like the idea of interviewing YOU! These might just mean the difference between someone giving up, or sticking with it. Any takers? Anyone feel like putting THEIR voice out there with me? Be sure and comment below. You’ve got a good voice for the audio blog. No irritating vocal traits. 🙂 If you think of good things to talk about it should be worthwhile. You did great! Yes, you are a natural in front of the microphone. You’re so sweet, too. Oh, can you figure out a carrot-ginger soup? Awesome hearing your voice, sounds like a great ‘radio’ voice to me. Thumbs up on your trial run, I think it has been successful. Sounds great to me, hope this really takes off! Chuck, what a voice!!! I LOVE listening to podcasts so i am very excited about the possibility of you doing a weekly one! You are a huge contributor for all of us plant-based eaters… Your chili, veg stew, vegan gyros and red pepper soup are my favs… I’ am looking forward to seeing you grow’!! Keep up the GREAT work!! Thank you for all you do! As others have said, you have a great radio voice. I look forward to listening to you while I draw. That’s my secret to staying with a podcast or audiobook–that or riding my stationary bike. Sitting still is so hard. Anyway, thanks for your recipes. BTW-I mixed some of your easy red sauce, the one with the whole chiles, with riced cauliflower one day. A different day I mixed a cup into a pot of pintos. Both of these were fantastic!! Oh, my goodness, I’m addicted to that stuff. Sounds great Chuck, you’re a natural. I love podcasts because I’m not tied to my iPad. Maybe you could do some interviews? Your voice comes in nice and clear. Very easy to understand.. I have enjoyed being on your journey with your keep up the good work. You have really helped me. I have just been wfpb for 9 months and use a lot of your recipes. Great voice! Very interesting blog cast. I had no idea how any of this stuff works so it was interesting to hear your numbers and all that stuff. You have a great following and we will like wherever your journey takes you! Best of luck! ❤️ BNV Keep those recipes coming! That was a great first podcast. You have a natural radio style and voice.. Plus you’re relatable sharing your journey. Great audio voice. Kudos to you on your accomplishments. Look forward to hearing more from you. Congratulations on your first cast. You did an awesome job. I think you are going to do great. I am sure many of your members will be able to help you with interviews. Voice is perfect for audio. No nervous crackling or where it sounds like you would have to clear your throat. Perfect. Just perfect. Sounds good, you are very brave. You did great, Chuck! Another affiliate you might take a look at is Vitacost. I order from them occasionally. Like everyone else has said – great voice! I too enjoy Podcasts vrs. Video since I can listen when I’m out walking or doing other things. Keep up the good work! Super good! Nice voice and great food! Very good for being a first time for you. Looking forward to your first video! Absolutely love your recipes — very inspiring and encouraging in our plant-based journey. You did well – congratulations. LOVE IT!! Keep it growing!!! We all love you bunches, obviously….thanks for the update on everything… Looking forward to the upcoming blogs !!! Good practice run broadcast!! I was really surprised by your delightful voice. Your picture and your voice do not necessarily go together. I enjoyed your first podcast…. Best of luck with your product development and marketing research. I enjoy your recipes so much, they are not just one cusine, like many others. Keep going! Thanks for being real and sharing your journey with us! Congrats Chuck! Enjoyed listening to your smooth voice 🙂 Also, I was impressed with the way most of your numbers are increasing. I have been tossing an idea around my head of starting a blog and have been on the email list of the Elite Blogging Academy so I was encouraged that it is actually helping you. Keep up the good work! EBA is quite frankly amazing, as is Ruth. If you ever get a chance to meet her…… wow. Star struck. She knows what she’s talking about. I was listening to a video with one of her original students (rosemarie granger) and she is now killing it with her blog….and I have more traffic than her! Nice job! You have a very friendly, unassuming way about you, which definitely comes across. I know your audience will connect with you easily. Can’t wait to see a video! Agreed – good voice to listen to. What’s Facebook jail? What happened that you were shut down for 3 days. I assumed that since you brought it up, more than once, you wouldn’t mind talking about it. As part of my ‘previous’ daily routine, I would pick a recipe and share it amongst the variety of FB Groups I visit regularly. Apparently, FB is now considering that SPAMMING and so they banned me from posting to ANY FB Group (vegan or otherwise) that were not my own. I was banned for 3 days. You did awesome! Great radio voice! Great job on explaining what is going on and what it means to you. You are my favorite and your recipes rock. If there is anything I can do to help you out let me know! Hi Chuck….what a great listen!!! Your voice is easy to listen to and your sense of humor shines through…much like in your recipe explanations 🙂 Congratulations on going through all the hoops to make this happen. Looking forward to many more “kitchen table chats” — I suspect they will be fun, interesting and informative. Thanks so much! Thank YOU for all you do for us! Tell me more about your ebooks. I liked your natural conversational tone. As for ideas, I think your niche is providing simple, but delicious, recipes that don’t require a lot of unusual ingredients for a target audience of individuals who are new to the vegan woe and slightly frustrated with all the thought and prep it seems to take just to make one meal. Helping individuals deal with that learning curve long enough to successfully make the transition and then move into a sustained lifestyle that is enjoyable and informed – with how-to tips for making things more convenient and healthy and fun. Great blog cast. Your voice sounds great, and I am always looking forward to your new recipes. Thank you! Great job Chuck…just be you, you are funny, witty, and have a great voice. Relax and it will come. You have learned a lot and I’m impressed with your journey. Keep up the good work and we will all keep supporting you. Great voice! You did well. Regarding funds, I’ve noticed your inclusion of instant pots. Perhaps you could have ads for various instant pots within your posts. I know I googled instant pots after I read about them in your recipes. Looking forward to more! Hey Chuck, it sounded great. Love the music leading in and out, the volume was perfect for that. Are there ways to support you that someone else does not get a cut of? I am thinking Patreon probably takes a percent from the amount I donate. If someone gets a cut no matter what, who takes the smallest. I would like my money to go to you. I am a subscriber and read the emails as they come. I generally do at least one of your recipes a week, so I am on your site at least weekly. As stated above, you have a voice for radio. I started vegan after having a mild heart attack (well two years after). It seemed to be the one way that folks lost weight and kept it off. I also wanted to get healthier and at 62 you start thinking about your mortality. Good luck, I will be listening. There is now a function to make a recurring donation on Paypal. That might be something. Either way, I appreciate your support. And yes, at 55…I think about that stuff too! Especially with friends and family dropping all around you! Chuck, I have been using your recipes almost since you started your site. I love your meals, especially your instant pot recipes. I recommend you to everyone who wants to make the whole foods change in our diets. I praise god for you. You have made it so much easier. Keep up the good work. Chuck, you have what I call a great “radio voice!” That dates me…ha, ha! Thank you for sharing your numbers and where you are just now! I Love your recipes and so does my husband! Becoming vegan has been one of the big challenges in my life, but has been so worth it! I love seeing my doctor’s face when he sees our blood test results from two folks who became vegan 4 years ago! I guess what I would like to say to you, Chuck, is thank you for making this journey so tasty and fun, for stepping out and learning new things, and then sharing it all with us! And to all who follow you, please consider supporting Chuck more financially….we all waste money on stuff, why not pass some onto a guy who is trying so hard to make us healthy! I so believe in what Chuck is doing for us, as I know you do as well! let’s support him more monetarily along with verbally doing so! Thank you, Chuck! Looking forward to your next podcast! Another vote for your voice. You did great! I think content I would like to see is meal planning/grocery list for the week using your recipes. For podcast content, maybe talk about hits/misses on recipe creation or how you plan your week food wise? Regards!